Welcome to TheTQ.com! We Treasure our Customers!!! Whether you're shopping for your favorite friends or home sweet home, we have just the perfect gifts! 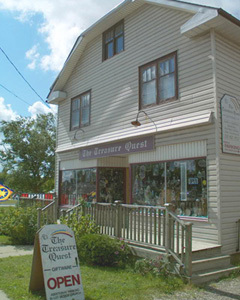 We are a country gift shop in Caledon Village, Ontario with all kinds of original items. You can browse some of the many things we carry online or come in to have your own search for Treasures! There is additional customer parking in the town lot beside the church.